Born in Los Mochis, Sinaloa in 1928. His father was Irish and his mother Mexican. He studied art in Mexico City at the Academia Nacional de Artes Plasticas and with the Spanish painter Jose Bardasano. In 1954 he was awarded first prize at the Circulo de Bellas Artes for his work and the very next year he was also recognized for his watercolor. He went on to become one of the founding members of the Sociedad Mexicana de Acuarelistas after earning eight consecutive recognitions by the Salon Anual de la Acuarela at the Instituto de Arte de Mexico. In 1967, Sociedad Internacional de Arte AB purchased all of his work (more than 60 paintings and several drawings. A year later his watercolor "El Entierro" was selected at the Exposicion Solar held at the Palacio de Bellas Artes as part of the Cultural Olympics in Mexico. He was the recipient of the Premio Nacional de la Acuarela and his work was added to the permanent collection of the Museo de Arte Moderno. In 1991, he was awarded the Premio Sinaloa de Ciencias y Artes from his home State for his accomplishments in the field of art. His countless exhibitions in Mexico City, Guadalajara, Mazatlan, Los Angeles CA, New York, and other important cities in Mexico, Chile, Scotland, the Netherlands, Greece, Germany, Canada and the US, have earned him a reputation for having his works included in collections such as the Mitchell Art Museum in Mount Vernon IL, JFK Presidential Library & Museum in Boston MA, the Ronald Reagan Presidential Library & Museum in Simi Valley CA, the Museo de Arte de Sinaloa and the Museo de la Acuarela Mexicana among others. Several presidents of Mexico, like Adolfo Lopez Mateos, Gustavo Diaz Ordaz, Luis Echeverria Alvarez, Jose Lopez Portillo, Miguel de la Madrid, and Carlos Salinas de Gortari, have been collectors of Coghlans works . The Museo de la Acuarela-Sala Edgardo Coghlan was opened in Toluca in 1993 in honor of the artist. The opening ceremony was hosted by then Governor Ignacio Pichardo Pagaza. This Museum houses 40 works made in 1992 specially for the space. 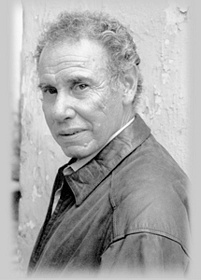 Edgardo Coghlan died a few years after in 1995.